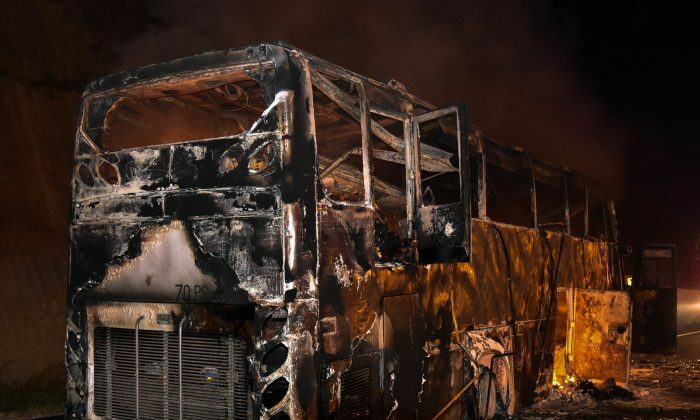 Twenty migrant Myanmar workers were killed in a fire on a bus in western Thailand on Friday, March 30. Three others were hurt, while the rest of the people were able to get away safely. According to police, the bus had forty seven passengers on it, and those passengers had recently arrived in Thailand to legally work there. Approximately three million migrant workers are currently in Thailand, most of them coming from Myanmar, which is much poorer than Thailand. According to a study that was conducted by the World Health Organization, Thailand has the deadliest roads in the world, after the country Libya. While the cause of the fire is not yet known, this could have possibly been a factor. These statistics are quite sad and shocking, but there are even more problems that the country has. To name two more: Thailand has one of the world’s highest urban speed limits, and seatbelts are not required in the rear car seats. Enforcement of laws is a struggle for Thailand, which explains why so many accidents and deaths occur. What happened on Friday was tragic and my heart goes out to the victims and their loved ones and every person that survived the fire. I cannot imagine how terrible it would be to live through something like that, or know that someone you cared about was unexpectedly lost.